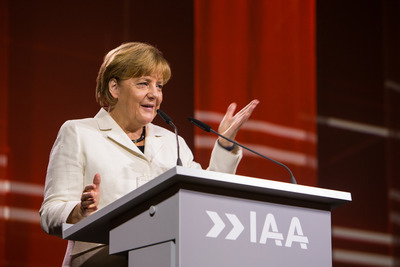 Frankfurt/Main, Germany - September 17, 2015 - Chancellor Angela Merkel opened the 66th IAA Cars (from September 17 to 27, 2015 in Frankfurt/Main, Germany) in the presence of numerous high-ranking guests from politics, business and society. "The world's most important trade fair shows that the digitization of mobility is the mega topic driving the automotive industry forward with innovations coming at a rapid rate. They will make driving even safer, more comfortable, and more efficient. The German automotive industry alone is investing 16 to 18 billion euros in connected and automated driving over the next three to four years. This 66th IAA Cars opens up a view onto the mobility of tomorrow. Over 1,100 exhibitors - more than we've ever had before in this century - are using the entire trade fair grounds as a fascinating showroom. They come from 39 countries. 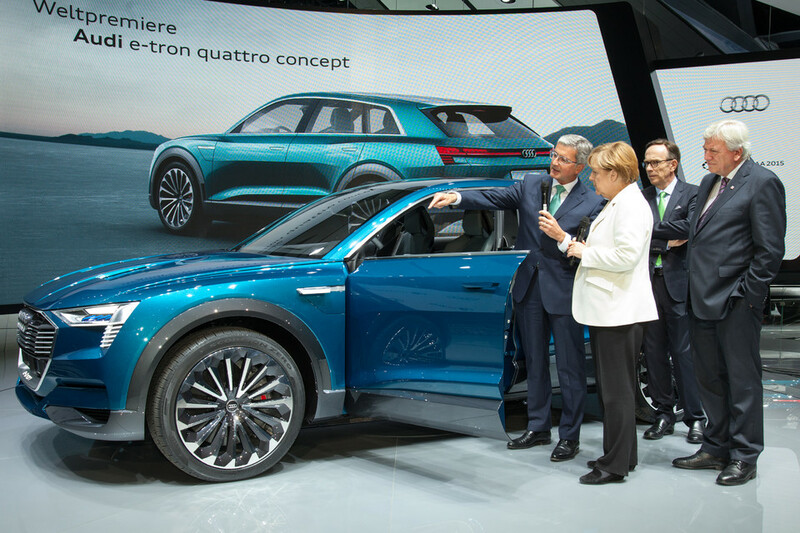 The innovation density at this exhibition is unique across the globe: visitors will find 219 world premieres, a good third more than we had two years ago," said Matthias Wissmann, President of the German Association of the Automotive Industry (VDA), at the IAA's opening ceremony in Frankfurt am Main. 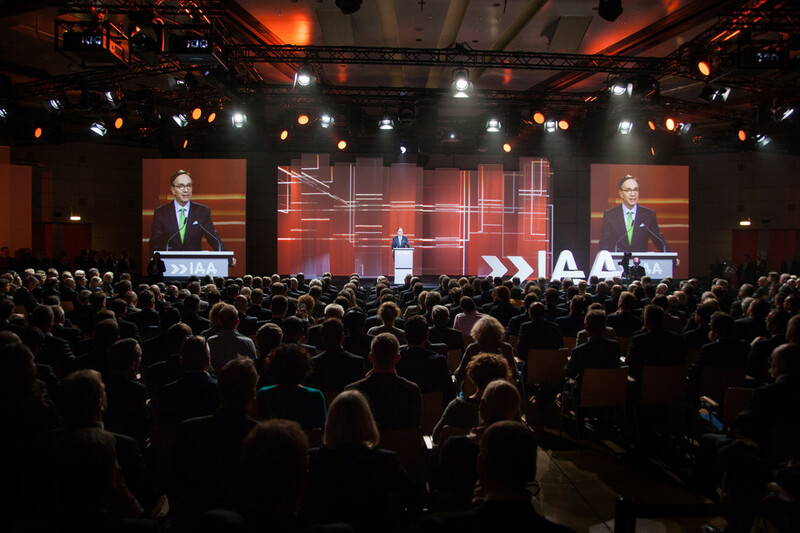 Matthias Wissmann, President of the German Association of the Automotive Industry (VDA), at the 66th IAA Cars opening ceremony. “The world’s most important trade fair shows that the digitization of mobility is the mega topic driving the automotive industry forward with innovations coming at a rapid rate. They will make driving even safer, more comfortable, and more efficient. 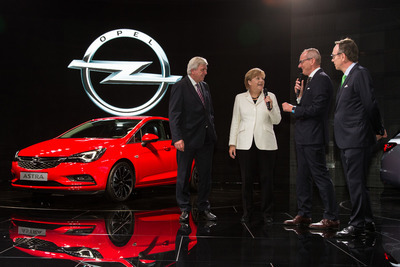 The German automotive industry alone is investing 16 to 18 billion euros in connected and automated driving over the next three to four years. 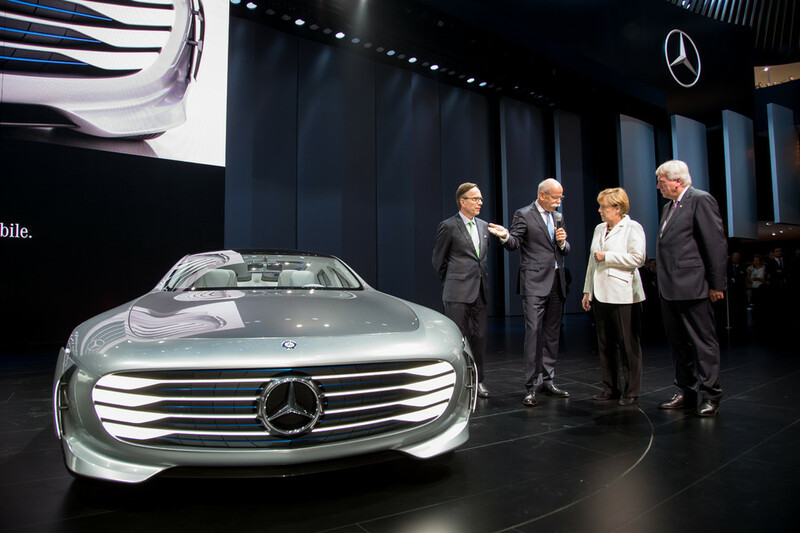 This 66th IAA Cars opens up a view onto the mobility of tomorrow. Over 1,100 exhibitors – more than we’ve ever had before in this century – are using the entire trade fair grounds as a fascinating showroom. They come from 39 countries. 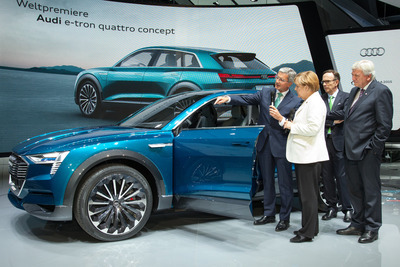 The innovation density at this exhibition is unique across the globe: visitors will find 219 world premieres, a good third more than we had two years ago,” said Matthias Wissmann, President of the German Association of the Automotive Industry (VDA), at the IAA’s opening ceremony in Frankfurt am Main. Peter Feldmann, Lord Mayor of the City of Frankfurt/Main. Chancellor Angela Merkel opened the 66th IAA Cars (from September 17 to 27, 2015 in Frankfurt/Main, Germany) in the presence of numerous high-ranking guests from politics, business and society. Dr. Angela Merkel, Chancellor of the Federal Republic of Germany. 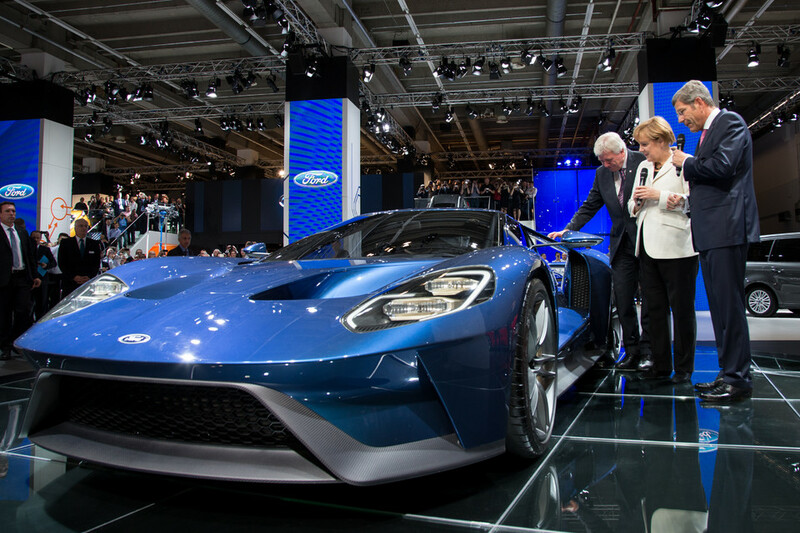 “The large number of new models by the manufacturers from many countries delight car enthusiasts of all ages. 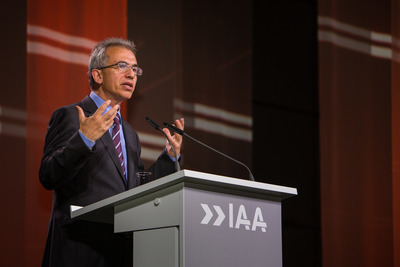 The innovations from the supply industry also bring the IAA into the limelight it deserves. 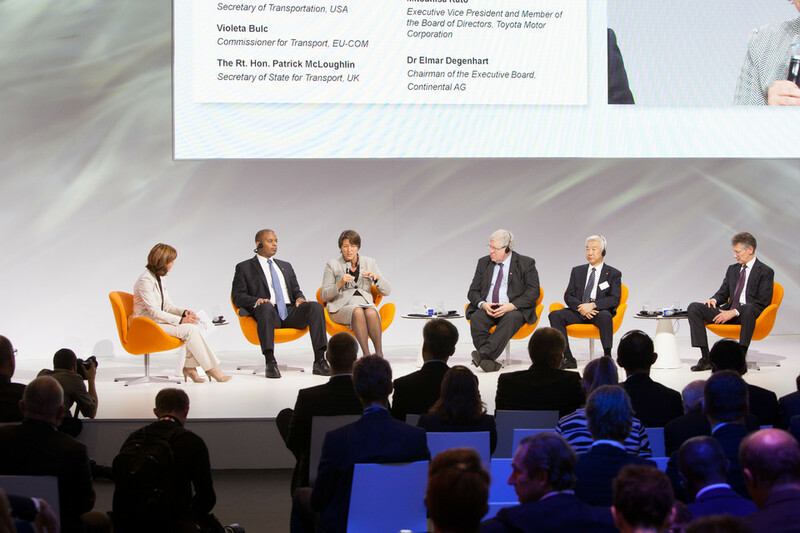 Frankfurt is the only place where the whole automotive value chain can be experienced in all its diversity. The fascination with automobiles is more international than ever before. In short, mobility connects!” Wissmann underscored. 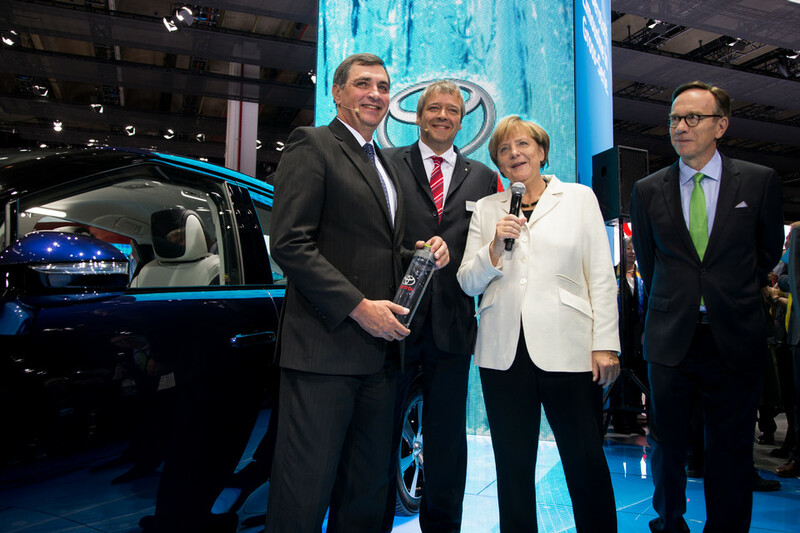 Dr. Angela Merkel, Chancellor of the Federal Republic of Germany, and BMW e-Drive exhibition. “The world is in motion, and people are moving to find prosperity. Many of them are attracted to the cities to find work and earn an income. Metropolises with over a million inhabitants come into being and demand new, innovative solutions. People’s need for mobility has to be met, and road safety must be ensured, along with a contribution to climate protection. Digitization offers new approaches to these challenges. And the automotive industry – the manufacturers and suppliers – is bringing the benefits of the new technologies to the roads – as it has been doing for many years. Today we already have systems such as the highway driving assistant or blind-spot monitoring, ESP and traffic sign recognition, provided by up to one hundred electronic control devices in the vehicle. 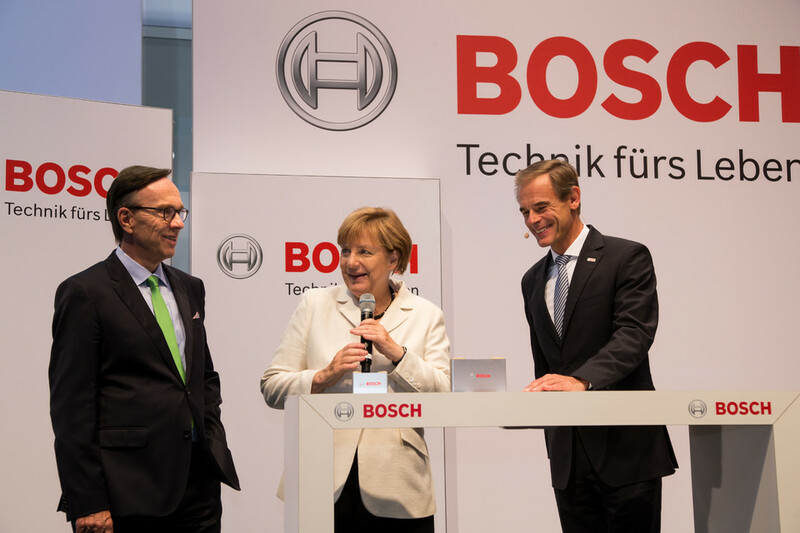 They support drivers and make mobility more comfortable and safer,” Wissmann said. 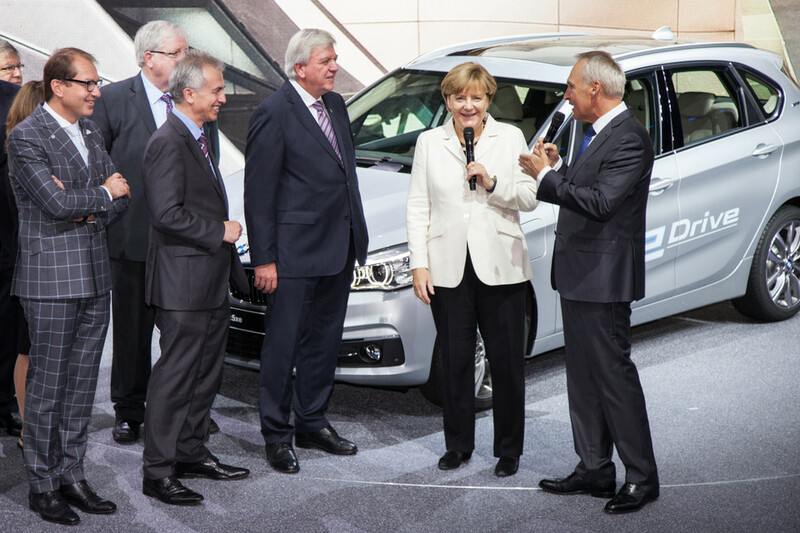 Dr. Angela Merkel, Chancellor of the Federal Republic of Germany, at Ford exhibition. Dr. Angela Merkel, Chancellor of the Federal Republic of Germany, at Toyota exhibition. “The crucial point is that we can realize a quantum jump – promoting safety for all road users, protecting the environment and giving drivers more comfort. 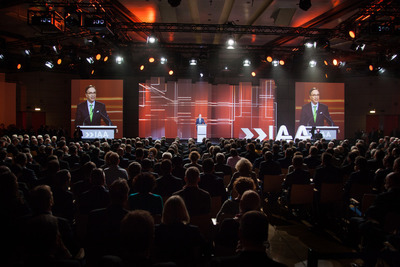 That is the clearmessage from this IAA,” Wissmann stressed. Dr. Angela Merkel, Chancellor of the Federal Republic of Germany, at Opel Astra from Poland exhibition. “Drivers also want to be always online while traveling. That is true the world over. We satisfy this desire of the customers. Digitization creates flexibility. Cars have always been an expression of individual freedom. Automation and connectivity now mean that drivers are even more independent. They gain one of the most precious things of all: time. 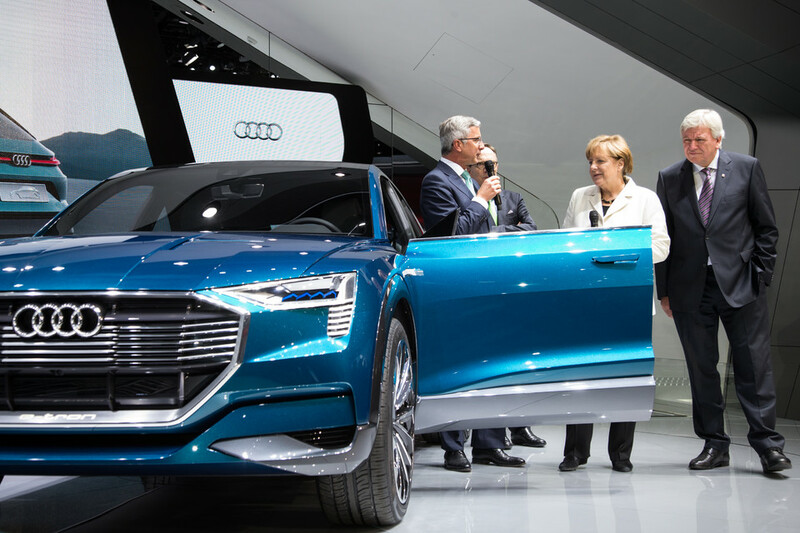 In the future we will be able to decide whether we sit at the steering wheel ourselves when the road is clear or, in situations like congestion, we use the time for other activities,” the VDA president explained. 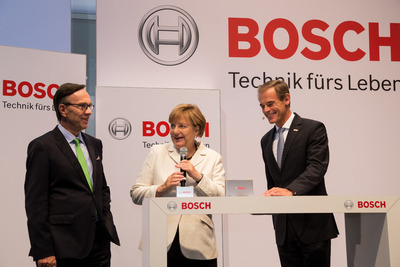 Dr. Angela Merkel, Chancellor of the Federal Republic of Germany, at Bosch exhibition. In the future, the intelligent and always watchful assistance systems could intervene if the driver is distracted. This could prevent many collisions from happening in the first place. 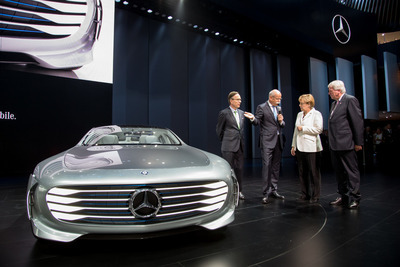 Dr. Angela Merkel, Chancellor of the Federal Republic of Germany, at Mercedes exhibition. Dr. Angela Merkel, Chancellor of the Federal Republic of Germany, at Audi e-tron quattro concept world premiere. “The systems will find the driver an empty space. And for drivers who are less talented at parking, the car will also maneuver itself into the space. As vehicles searching for a parking spot make up a considerable proportion of urban traffic, this will also bring down consumption and CO2emissions. Help in congestion, arriving faster and safer, no more little bumps while parking – in the future driving will be more fun than ever!” Wissmann said. “But it is also obvious that the rapid technical developments are generating a huge and important task for politicians – to adjust the legal rules as quickly as possible. National and international policy-makers should join forces. And we will need internationally harmonized standards for data security and data protection, too. The automotive industry takes its responsibility very seriously – also in this field,” Wissmann emphasized. 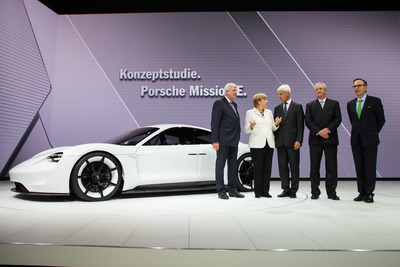 Dr. Angela Merkel, Chancellor of the Federal Republic of Germany, at Porsche Mission E world premiere. 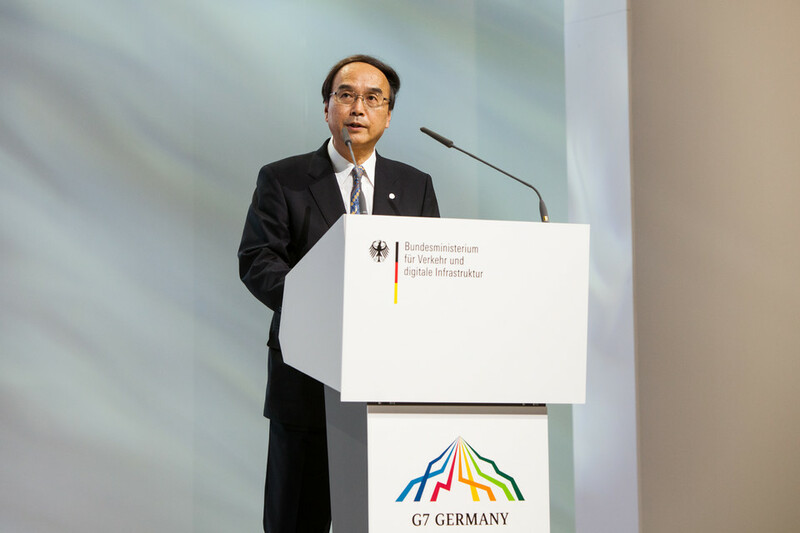 For Germany as an automotive nation, digitization represented an opportunity to become the international pioneers, Wissmann stated. Connecting vehicles was a future task not just for one sector, but successful far-reaching change would only be made in cooperation with other industries. 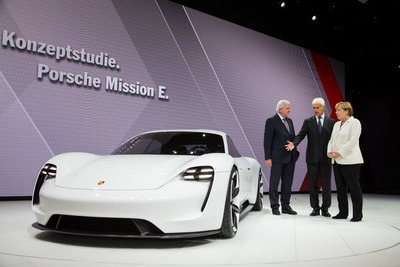 Matthias Wissmann, President of the German Association of the Automotive Industry (VDA) and Dr. Angela Merkel, Chancellor of the Federal Republic of Germany, at Porsche Mission E world premiere. This was also shown, he said, by the “New Mobility World” in Hall 3.1. 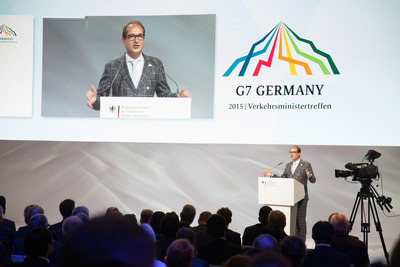 G7-Transport Ministers Summit, Alexander Dobrindt, Federal Minister of Transport and Digital Infrastructure, Germany. “Vehicle makers, suppliers and ICT firms, energy utilities and service providers are present here, as are municipalities and insurance companies. 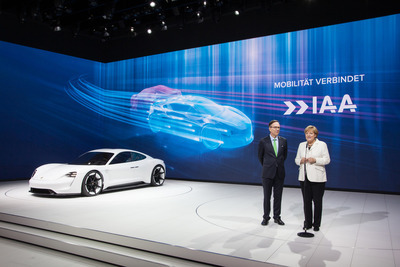 All of them are willing to join forces – which is another key signal this IAA is sending out. Here we are also seeking contacts and discussions with new business start-ups. 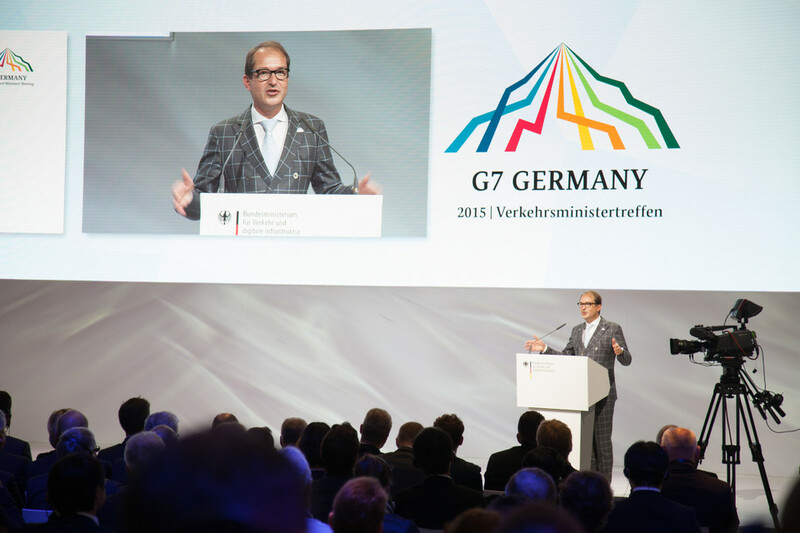 We have a major interest in making Germany a magnet for the scene,” Wissmann underscored. G7-Transport Ministers Summit, Toshiya Morishige, Vice-Minister for International Affairs, Ministry of Land, Infrastructure, Transport and Tourism, Japan. “Germany is an industrial country. And we should do everything we can to ensure that it remains so in the future. ‘Success’ comes before ‘sweat’ only in the dictionary. In 2014 the German automotive industry invested over 130 million euros per working day in research and development worldwide – over the year as a whole that came to 34 billion euros. Half of this money is invested in Germany. That is a good third of all industrial research spending in this country. And it shows that the industry is willing to take courageous decisions and to move forward,” Wissmann said. 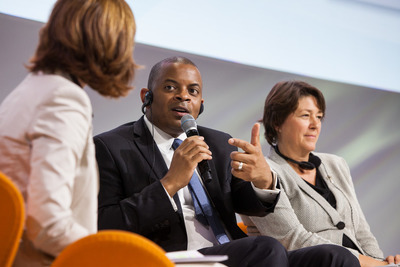 G7-Transport Ministers Summit, Anthony Foxx, United States Secretary of Transportation.